This week, the spotlight is on the super talented Dawn Farias of Dawn by Design! This is actually Dawn’s 3rd feature here on the blog (you can find her most recent feature article from March 2018 HERE… and/or her Foodie Friday article from September 2017 HERE w/ yummy food ideas/recipes). “I’ve always had straight hair, but wished for curly. In the 80s that meant perms, but thankfully that time has passed and we don’t really talk about it anymore. Nowadays, it means that I rely on my wand curling iron to get the job done. About a year ago, I came across a tip for doing this really quickly. You simply put your hair in a high ponytail, curl it in sections, and then let it down. 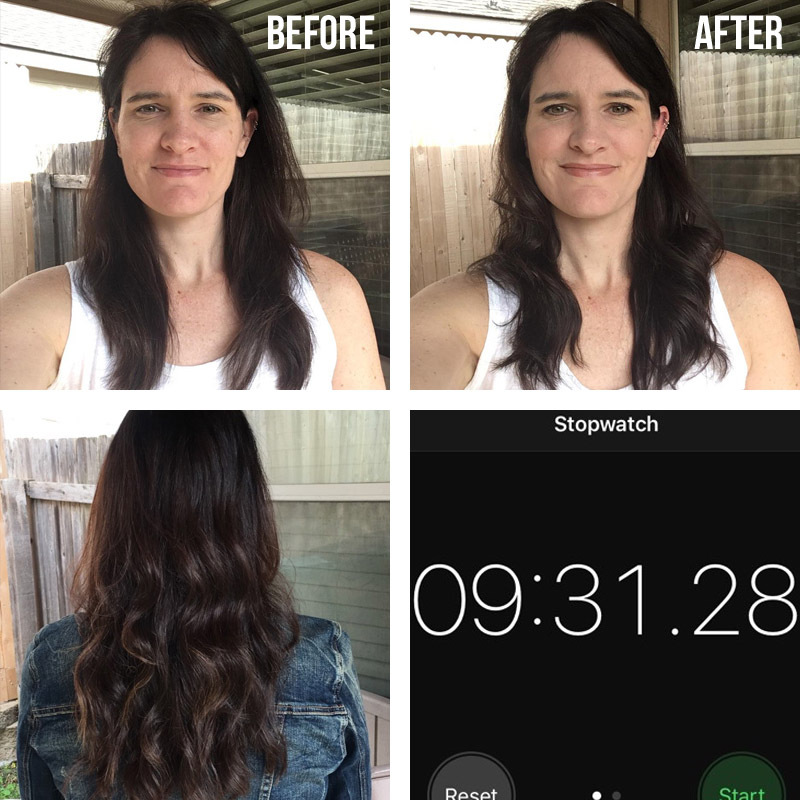 It takes me less than five minutes to curl, shake out, do a random re-curl here and there, and spray my hair. Considering I work outside the home and have a family to get up and out of the house each morning, this hair hack makes me very happy! It’s also easier on my arms. 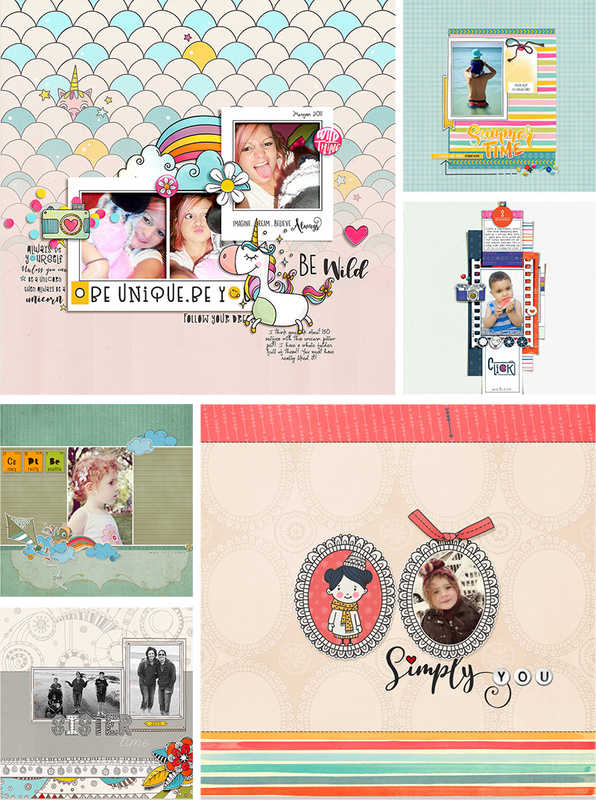 For those of you who aren’t already familiar with Dawn’s design work, she creates an awesome collection of kits, templates, pocket cards and stand-alone element sets. 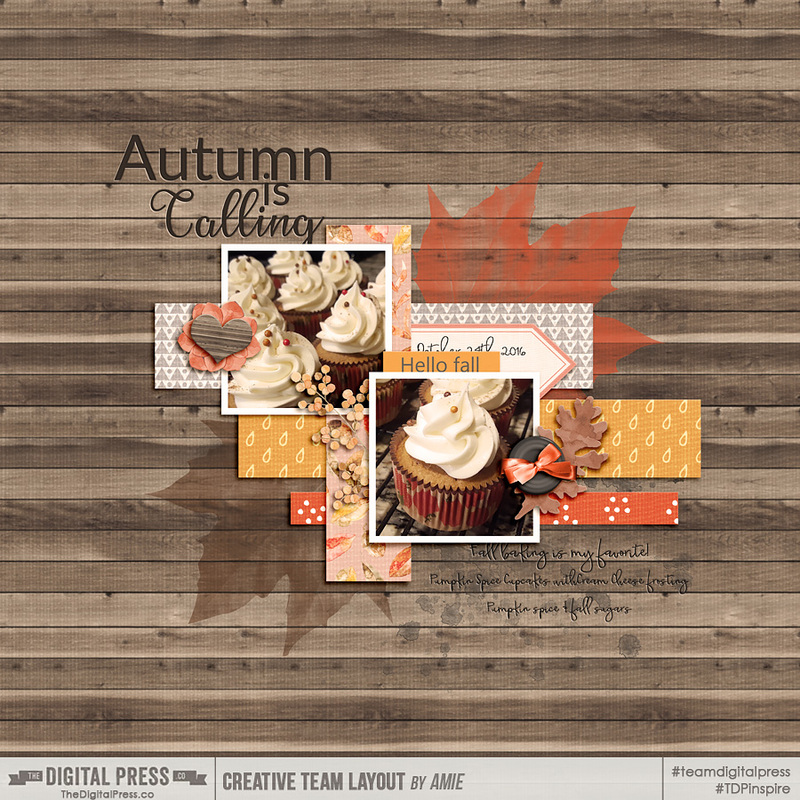 I love the color schemes she uses in her kits and how she includes a nice mix of dimensional and artsy elements so her kits will work well with any style layout you’re creating. And, if you haven’t checked out her office style date stamps, you really should; they’re super fun! And if you’re into alphas … you’ll find a bunch of fun options in her shop as well! 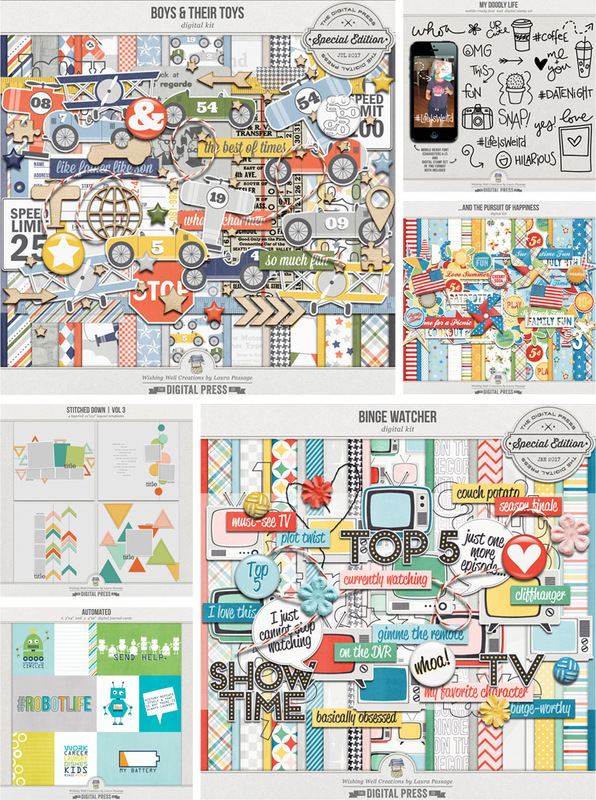 Aren’t those layouts super inspiring?! 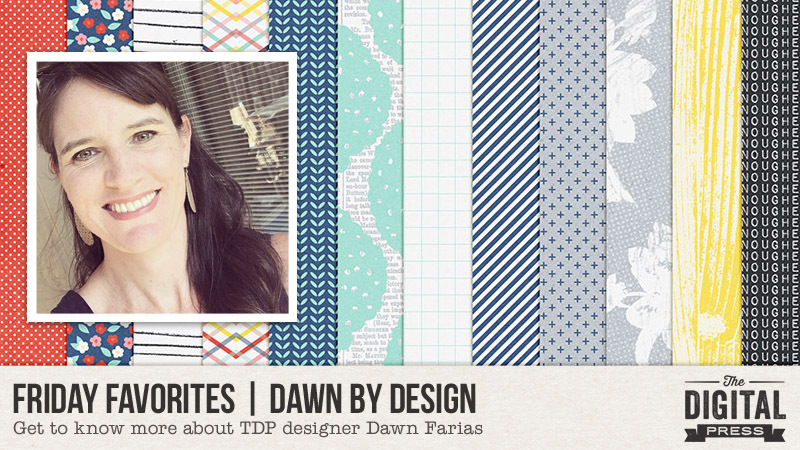 Hopefully, today’s Friday Favorites article has given you even more insight into Dawn’s persona and creative style (and again, if you want to know even more about her — scroll up and use the links to her previous features here on TDP’s blog, where’s there’s lots of good stuff!). And the best news of all?! 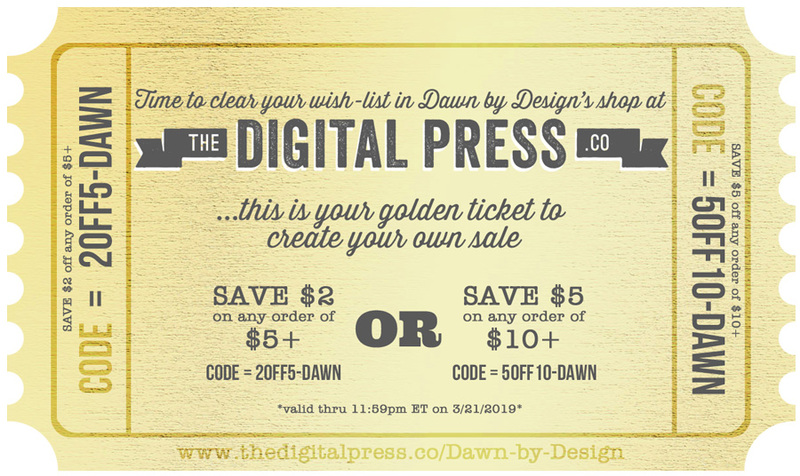 …during Dawn’s upcoming feature week here at The Digital Press, you can enjoy the chance to score an amazing deal in her shop if you use the following coupon code when purchasing her digital goodies (this code/sale will be valid through 11:59pm ET on Thurs 3/21). Don’t miss it! About the Author Barbara is a member of the creative team here at The Digital Press. She lives in Minnesota, is married (coming up on 25 years!) and has two awesome kids (a 22 year old son and a 19 year old daughter) as well as an adorable 12 year old Soft Coated Wheaton Terrier. In her free time she loves to play in Photoshop (you can learn a little something new every time you use PS right?! ), take photos, and try out new recipes for healthy dishes. Life is good! 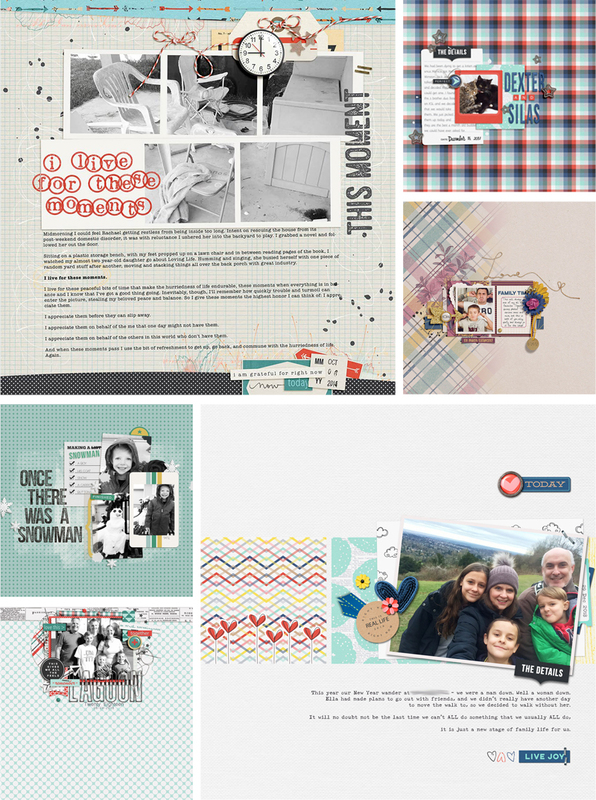 Greetings happy scrappers, and welcome to another edition of our Tutorial Tuesday series here on The Digital Press blog! 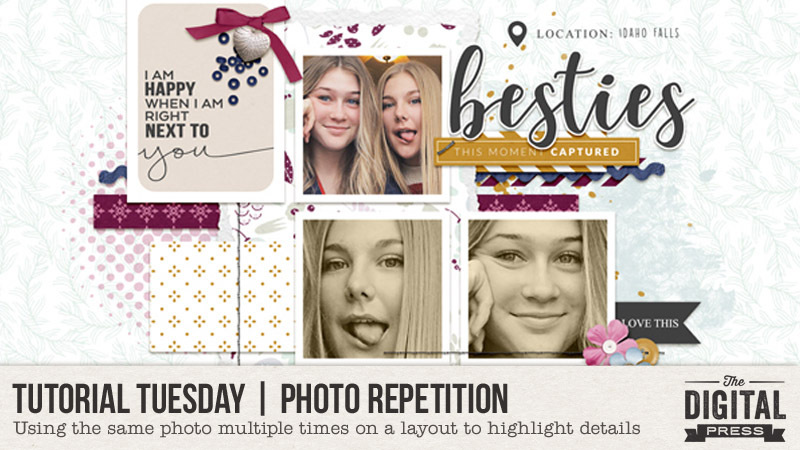 This week, I am going to share some creative ways to use the same photo multiple times on your layout in order to draw attention to and highlight the important details, and more! Using the same photo repetitively on your page is also a fantastic way to bring cohesiveness and interest to your project. 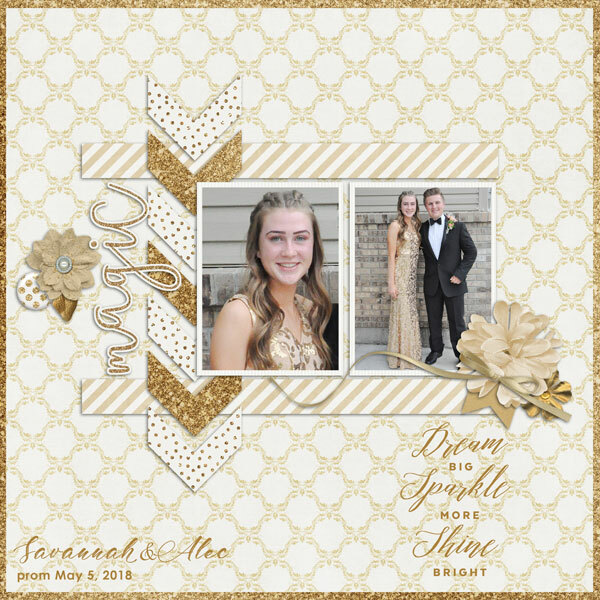 As with every aspect of scrapping, there is no right or wrong way to use a photo more than once on your page… and it is fun to try different techniques! Creative cropping | In the next example, not only is the cropping super creative, but changing the photo to black and white gives the page some added interest. Think outside of the box when duplicating your photo! 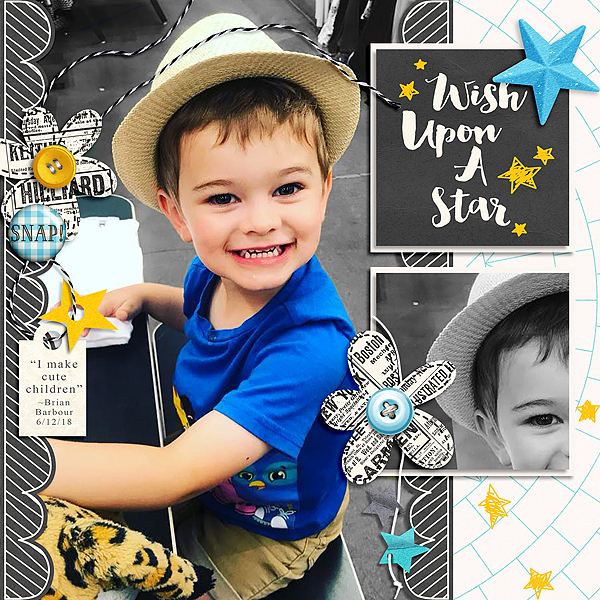 As you can see, using repetitive photos on your page is a great way to add interest to your pages… and really, the sky is the limit as to the ways the duplicated photo can be scrapped. Thanks for stopping by the blog today! I hope you’ll find this installment of Tutorial Tuesday to be useful the next time you work on a project! 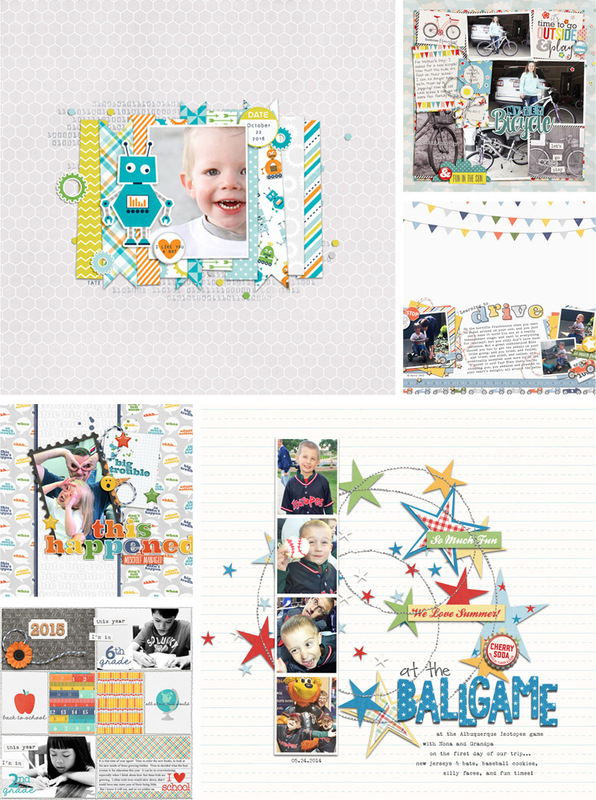 Until next time… happy scrapping!! About the Author Jill W is a creative team member at The Digital Press and has been scrapping for over 13 years. She resides in Northwest Illinois. In addition to scrapping, she enjoys spending time with her family — especially her three young grandchildren (ages 6, 4 and 2). Retirement is getting closer for her, and she is anxious to travel the country with her husband, taking photos and scrapping them as they journey across the USA. 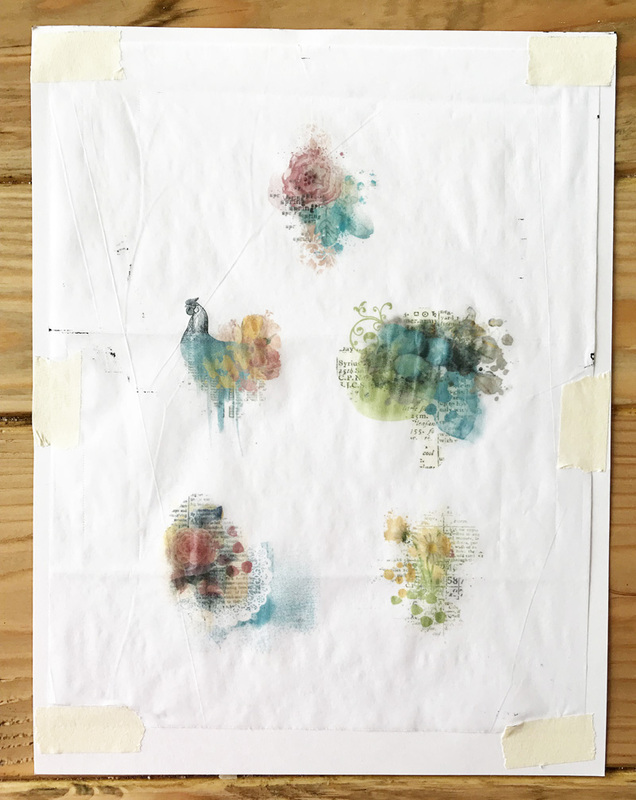 Hello, everyone, and welcome to another edition of our Hybrid How-To series here on The Digital Press blog! 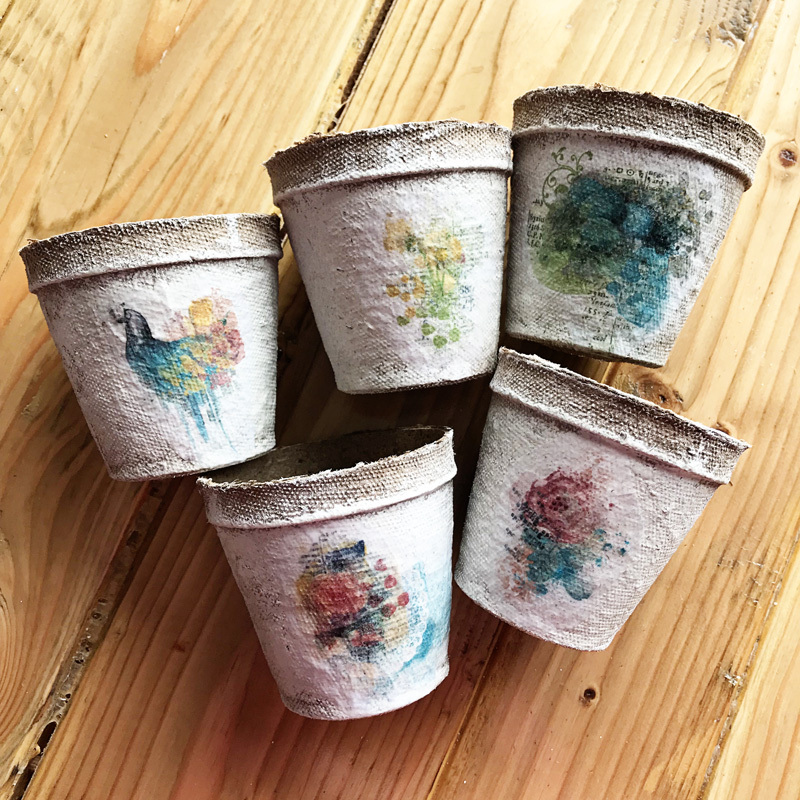 Today I am going to show you how to print digital elements on tissue paper to make these pretty peat pots. 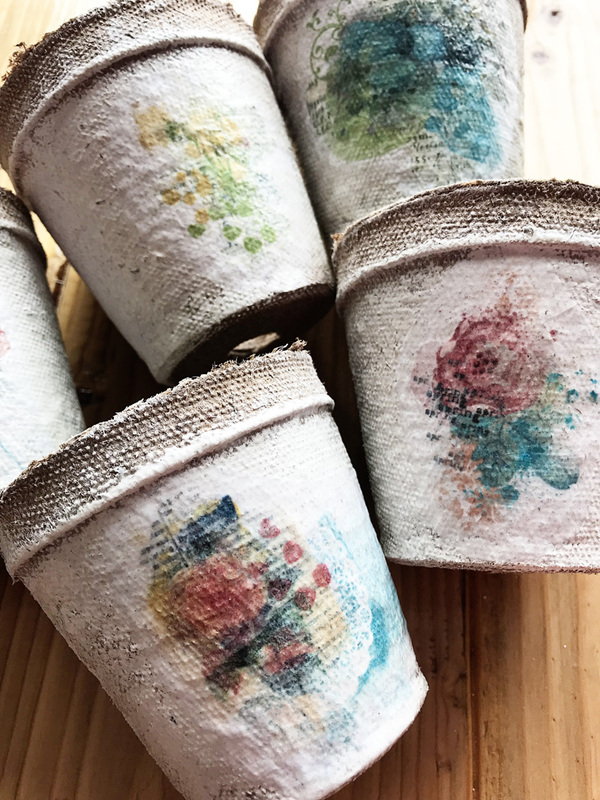 This tutorial is about making the peat pots, yes… but really, it is going to teach you the trick for printing on tissue paper — a skill which opens up a bunch of new crafty possibilities. 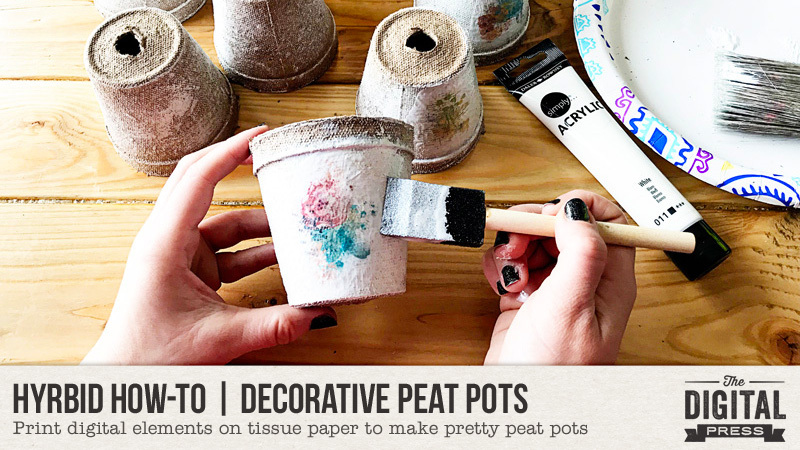 Peat pots are the object I chose for this, but you could use the tissue paper on lots of other mediums — from those cute metal buckets, to the glass inside a picture frame, to bowls or plates, etc. So many options! 2. Next is the printing. 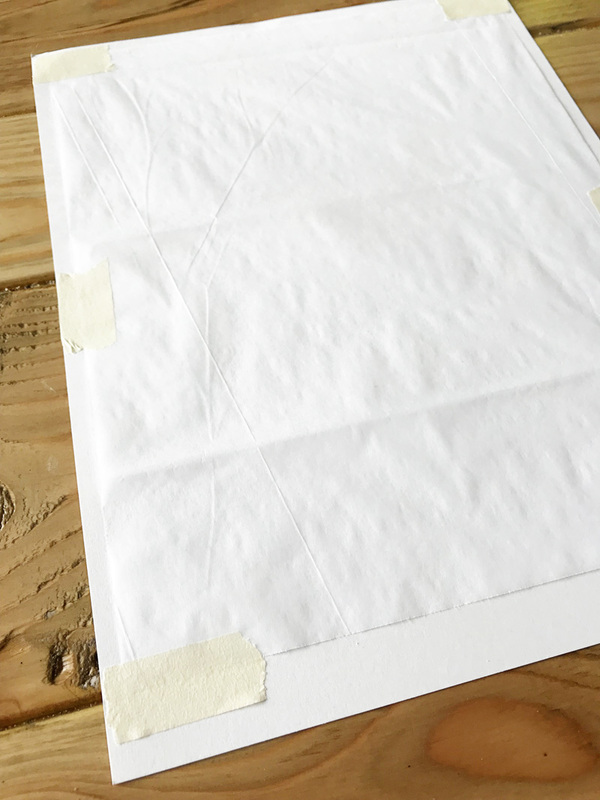 Cut the tissue paper down to about 1″ smaller than what your printer will allow. The trick to printing on tissue paper is to tape it to a piece of cardstock and send it through the printer that way. You’ll note that I had a little ink spray on my page, but it didn’t matter because I knew I’d be cutting all of that away. 3. The next step is to paint the peat pots. The white acrylic paint will help hide the edges of the tissue paper. I just used a big paint brush and criss-crossed a pretty thick layer all over the pots, leaving some of the brown color showing. 5. 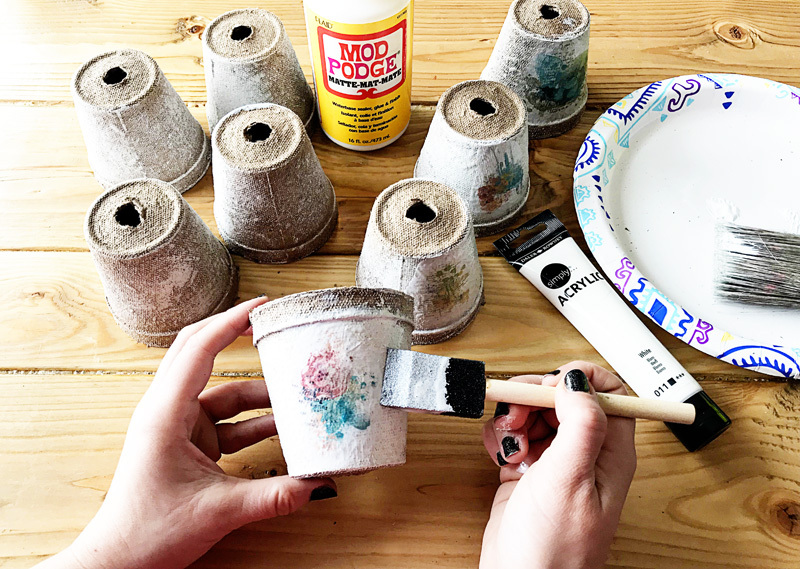 After that, we’ll Mod Podge the tissue paper images onto the peat pots with a foam brush. Once the tissue paper is wet, it will rip easily… so make sure you brush carefully. I hope you’ll give this project a try! 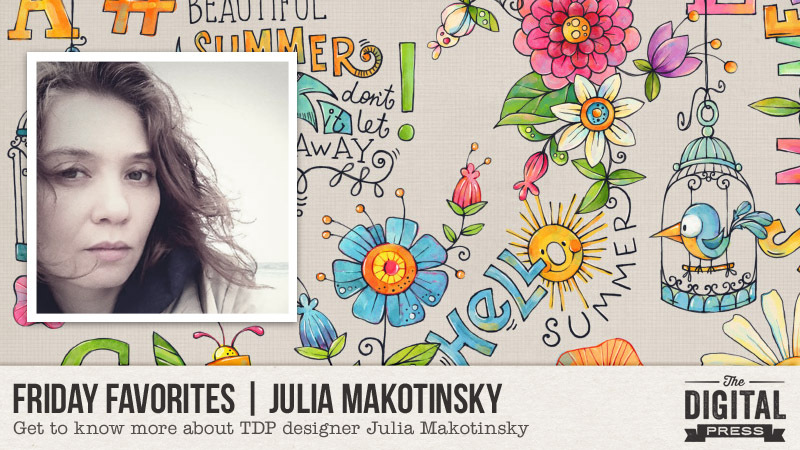 This week, the spotlight is on the awesomely-talented Julia Makotinsky ! This is actually Julia’s 3rd feature here on the blog (you can find her most recent feature article from June 2018 HERE… and/or her Foodie Friday article from February 2018 HERE w/ yummy food ideas/recipes). “When my family and I came to the US, we found our new home in New York. It’s been over 20 years now and I love seeing the ocean from my windows first thing in the morning. There is something magical and calming about the ocean and I never get tired of it. I’ve been walking the same beach all these years and only lately discovered such thing as “beach combing”. I always loved looking for things on the beach, but lately it has become an obsession. I also discovered a new beach nearby, which is a true treasure hunter paradise. It’s an abandoned place which holds various household items from the 40s, 50s, and 60s. 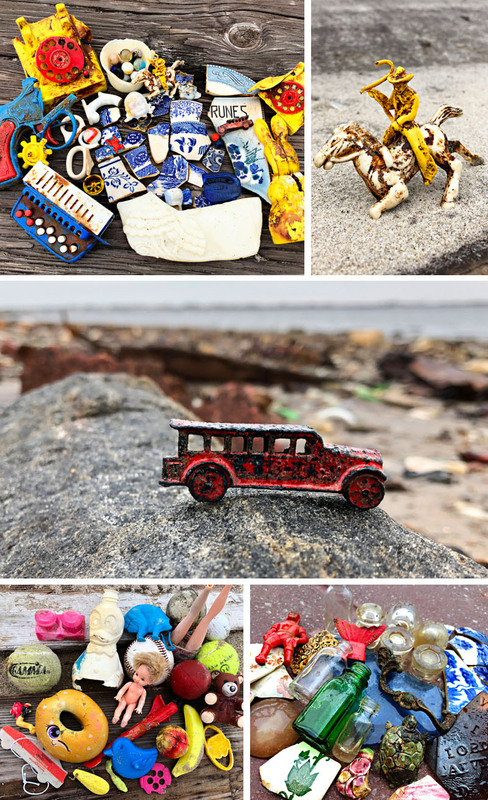 If I ever get sad or lost for ideas, I go to that beach to just get lost in the search for history, bits of pottery, toys… while listening to the waves crush against the shoreline. 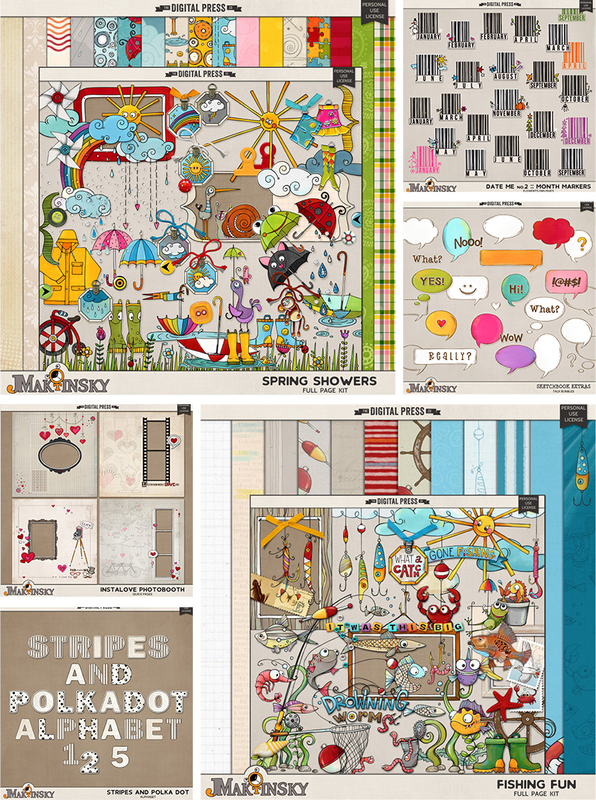 For those of you who aren’t already as familiar with Julia’s design work, she creates the most amazing doodles and fanciful elements. Her work is fun and quirky and so easy to play with! Julia has so many different products too! Hopefully, today’s Friday Favorites article has given you even more insight into Julia’s persona and creative style (and again, if you want to know even more about her — scroll up and use the links to her previous features here on TDP’s blog, where’s there’s lots of good stuff!). And the best news of all?! …during Julia’s upcoming feature week here at The Digital Press, you can enjoy the chance to score an amazing deal in her shop if you use the following coupon code when purchasing her digital goodies (this code/sale will be valid through 11:59pm ET on Thurs 3/14). Don’t miss it! 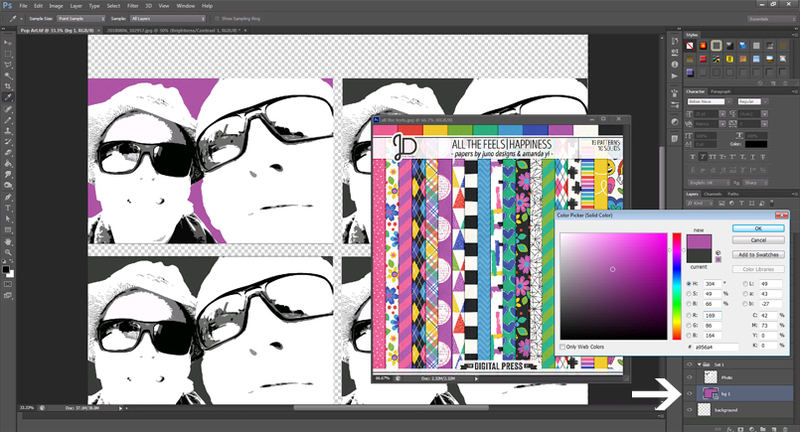 Hi everyone, and welcome to another edition of our Tutorial Tuesday series here on The Digital Press blog! 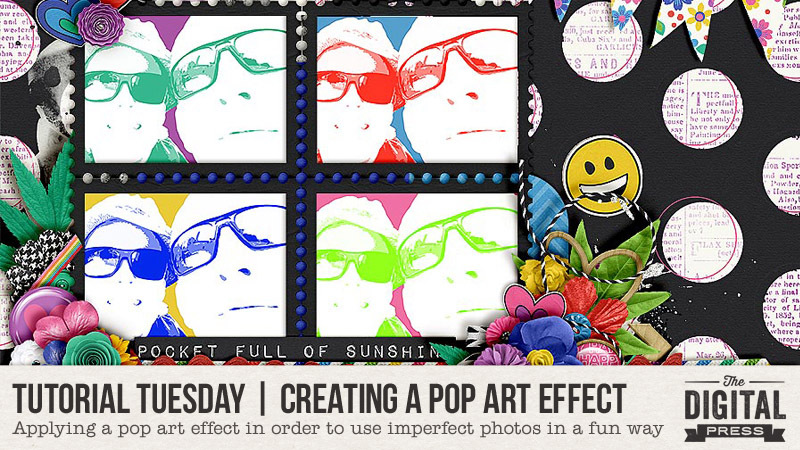 Today I’m going to show you how to create a pop art effect with your photos — either for fun, or as a way of using your imperfect photos in a creative way. We all know that life sometimes gets in the way of the perfect photo. Sometimes that one blurry photo is the only one you have of a wonderful event, and the memory deserves to be scrapped even if the photo is less-than-perfect! I have found that applying a pop art effect is a great way to use those imperfect photos in a fun way. You’ll see that I’m all hot and bothered in this photo, and that’s not exactly the type of photo I want to record forever in the pages of my album! So… I decided to give the photo the pop art treatment, instead. The process might seem a little complicated, but trust me, it’s worth the trouble! Let’s get started. Step 1: Select your photo and open it in your photo editing software. 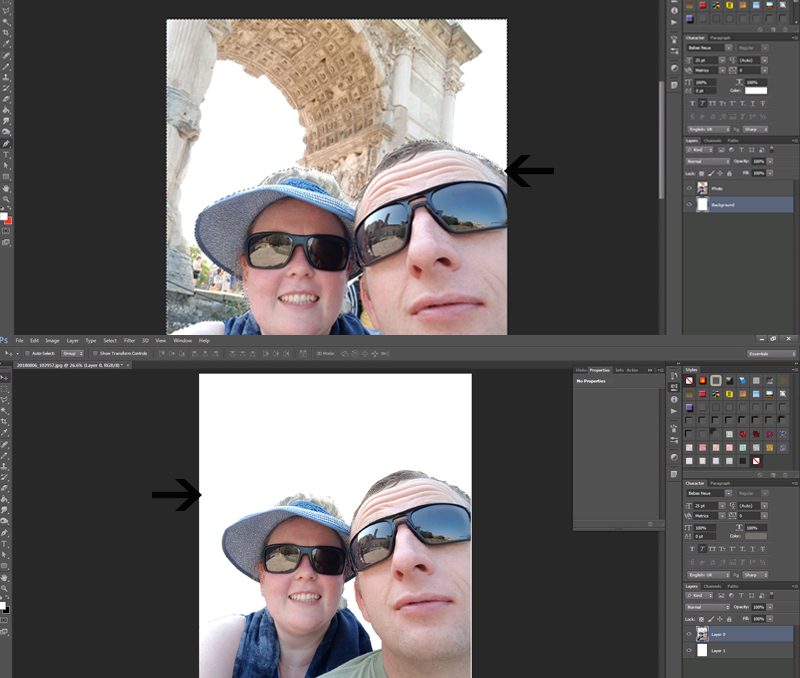 I use Photoshop CS5, so depending on your own software, it might look a bit different for you (hopefully similar enough, though!). In the Layers Palette, double click on the “Background” layer to unlock it… and rename it to “Photo” or something suitable. 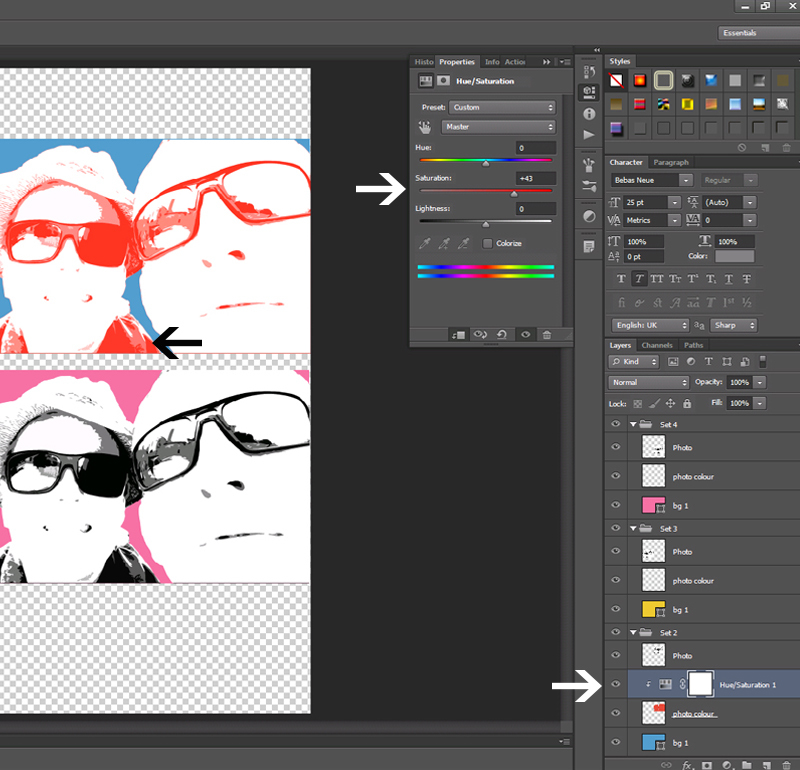 Step 2: Create a new layer underneath your Photo and rename that layer “Background”. 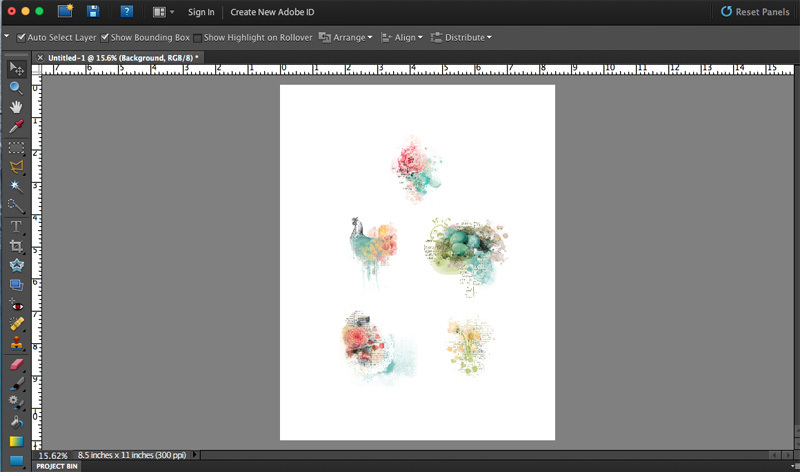 Step 3: Select the Paint bucket tool (G) and fill your Background layer with white. Step 4: Now we want to remove the unwanted parts of the photo. Select the Pen tool (P), making sure that it’s set to “Path”. Continue to create a selection around the part of your photo that you do want to use. 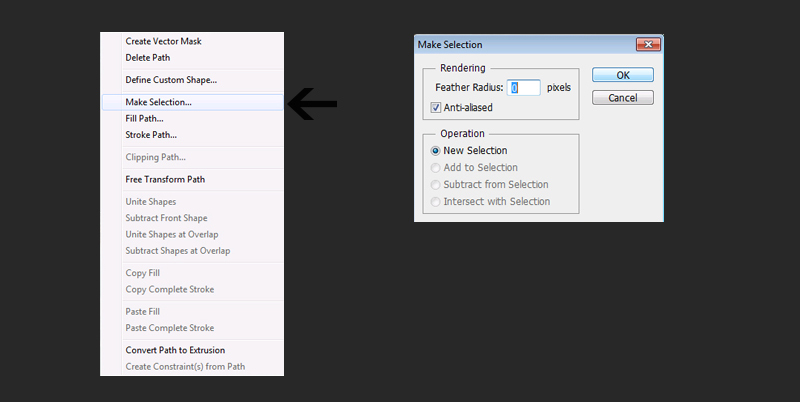 Step 5: After creating a closed path, right click on the photo and select “Make Selection” from the pop-up menu. Enter “0” as Feather Radius on the next menu. Step 6: Invert the selection (Shift-Ctrl-I) and press Delete. You now have your photo subject on a white background. 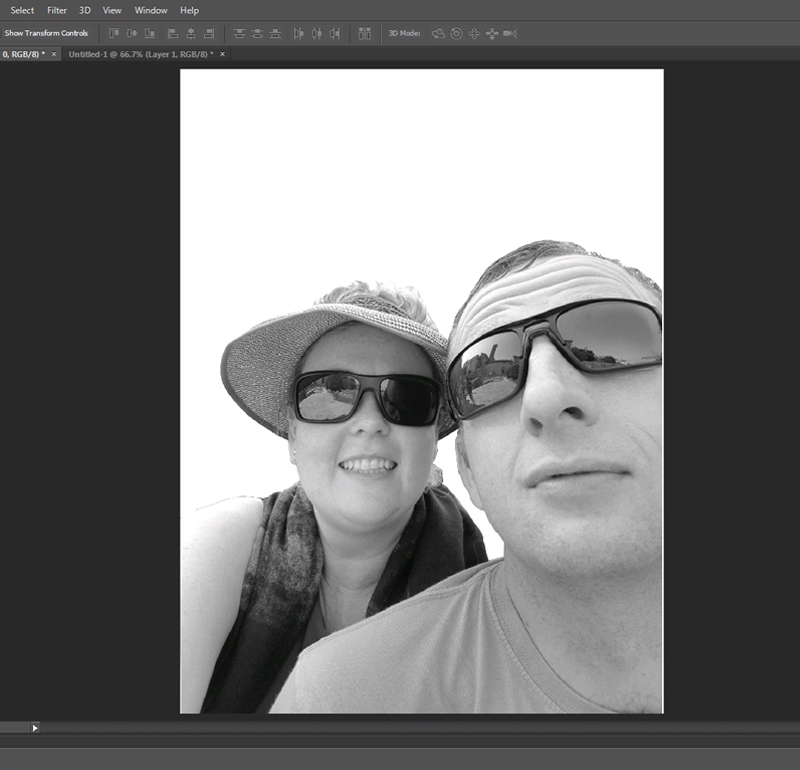 Step 7: Desaturate your photo (Shift-Ctrl-U). 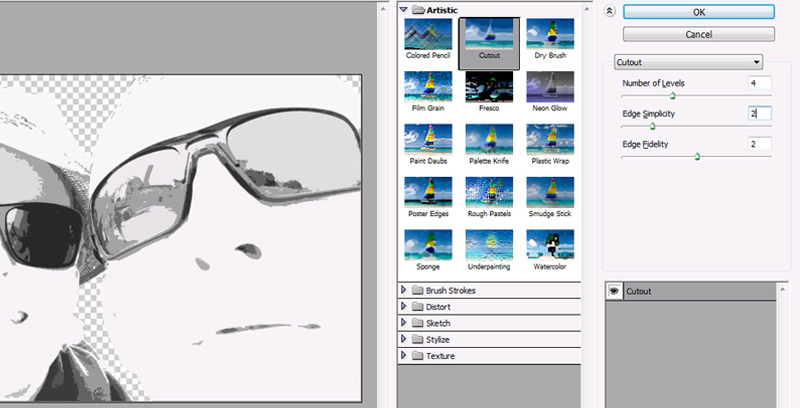 Step 8: Select the Crop tool (C) and crop your photo to make it visually appealing. Step 9: Go to Image > Adjustments > Brightness/Contrast and adjust the sliders until your photo has pronounced lines (and the imperfections are balanced out!). 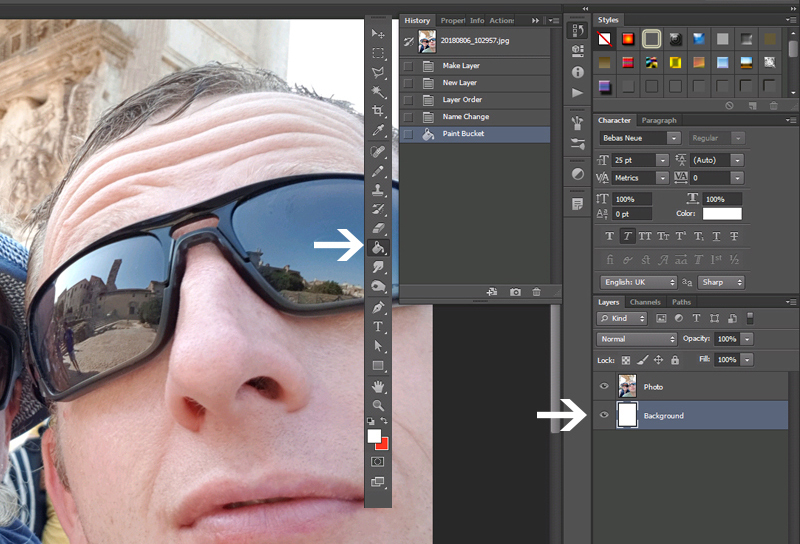 Merge the adjustment layer with your Photo layer. Step 10: Go to Filter > Artistic > Cut-out and apply the filter to your Photo, with settings more or less like mine in the image. If your Artistic filters aren’t showing up in Photoshop, a quick Google search will yield a video that explains how to enable these filters. 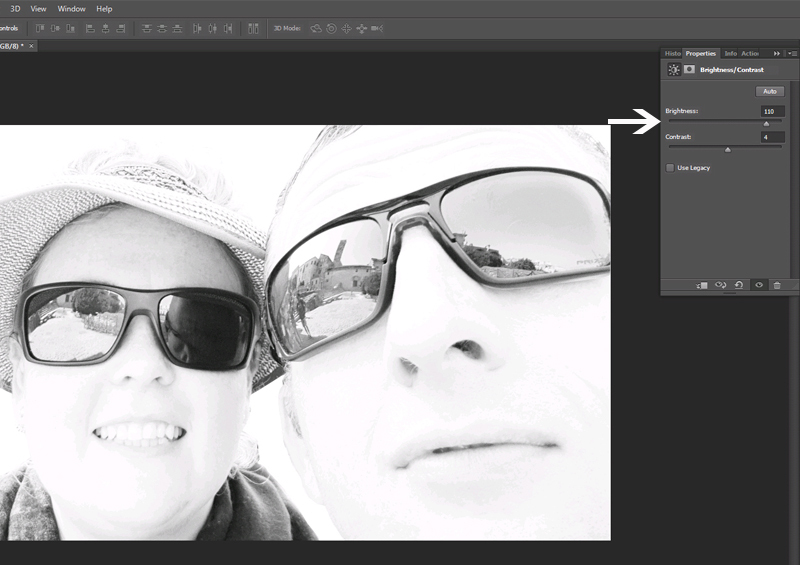 Step 11: Go to Layer > New Adjustment Layer > Levels and adjust the sliders until you are left with only black, white and 2 or 3 shades of grey in your photo layer. Step 12: Apply a Cut-out filter again (see step 10), this time changing only the “Edge Simplicity” setting to 4. Step 13: Now is a good time to save this project! 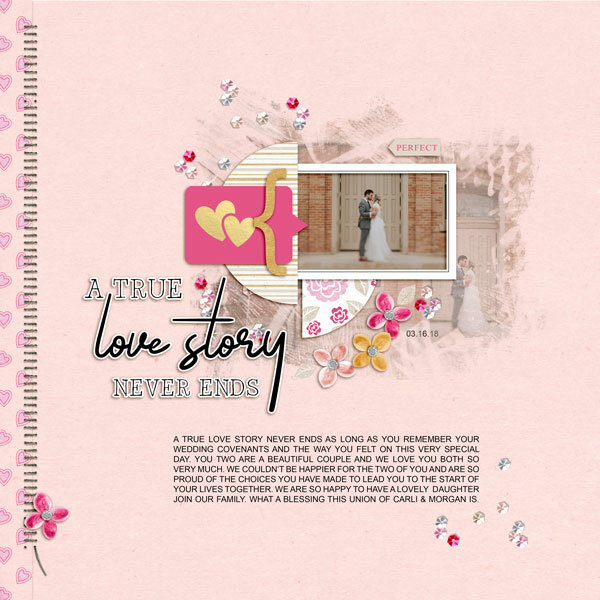 Then open a new project – I used a 12 x 12 inch canvas to get a feel for the size of the photo on a scrapbook layout. I named the new canvas Pop Art – this is where the magic is going to happen! 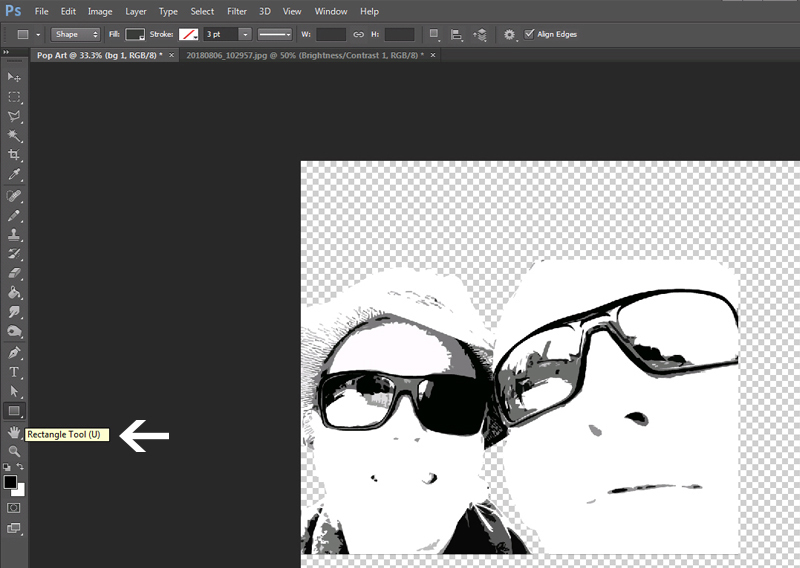 Step 14: Drag only your Photo layer to the new canvas, and rename the layer “Photo”. 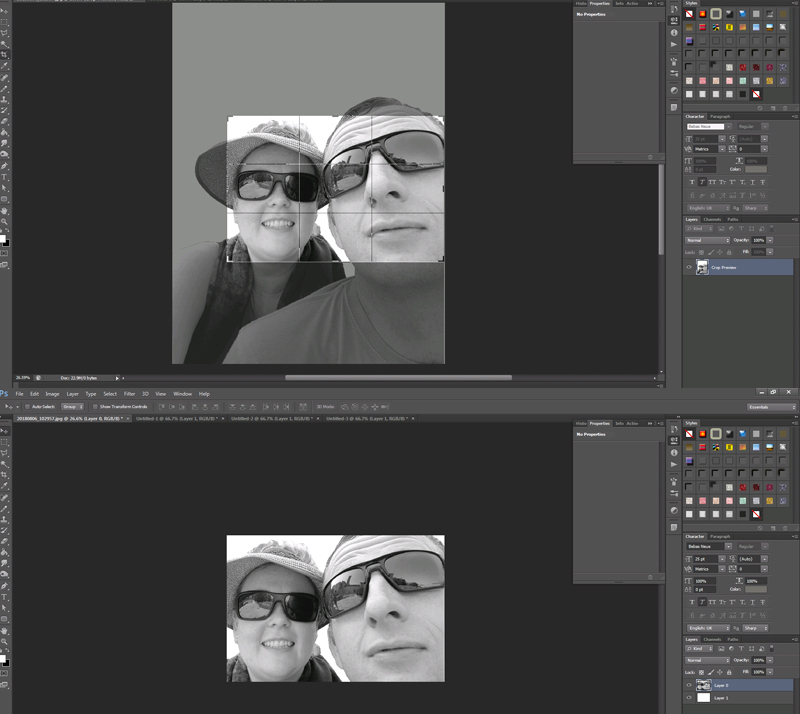 Step 15: Put the Photo layer into a Group (Ctrl-G) in the layers palette, and rename the group “Set 1”. Step 16: Create a new layer in the group, underneath your Photo layer, and rename to bg 1 (this will be your photo’s background). Step 17: Select the Shape tool (U), making sure the rectangle shape is active. 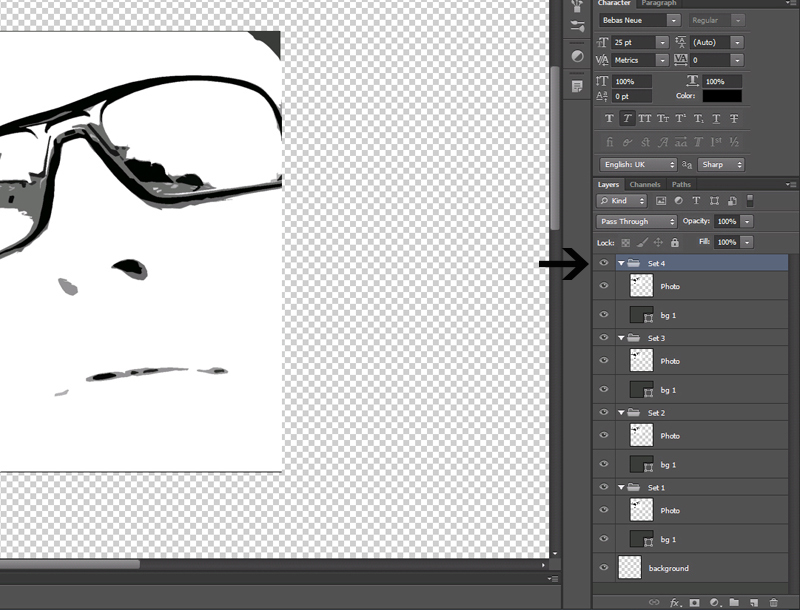 Step 18: With the “bg 1” layer selected, create a rectangle underneath your photo, with the same size as your photo. Step 19: Now duplicate your Set 1 group 3 times, so that you have 4 groups. Step 20: Spread the groups evenly on your canvas. 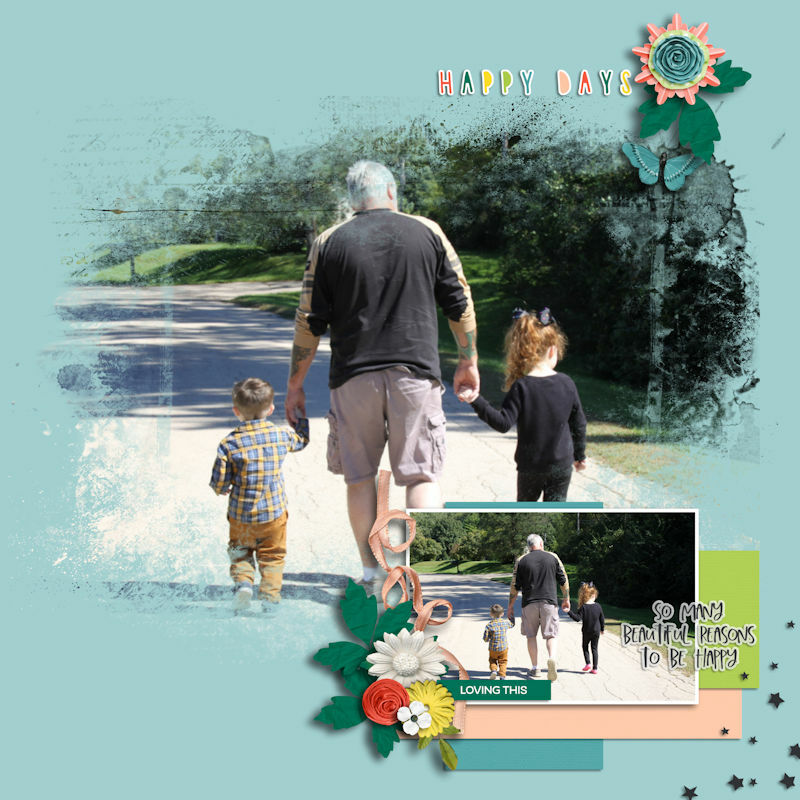 Step 21: Open your inspiration colour scheme – I wanted to use the kit All the Feels | Happiness by Juno Designs and Amanda Yi for my layout, so I decided to use those colours in my photos too. Double click on the thumbnail of the background layer in Set 1 to open the Colour picker and fill the rectangle with your chosen colour. 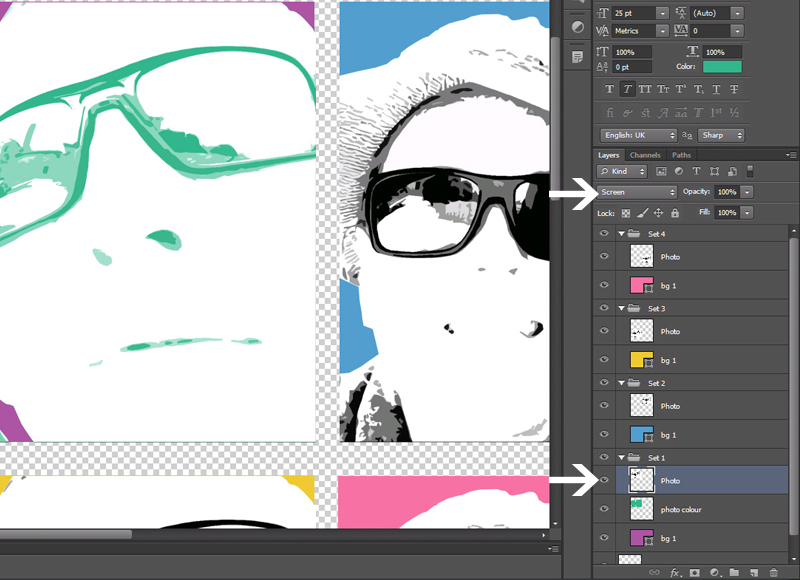 Step 22: Create a new layer between the Photo layer and the background layer, and rename the layer to “Photo Colour”. 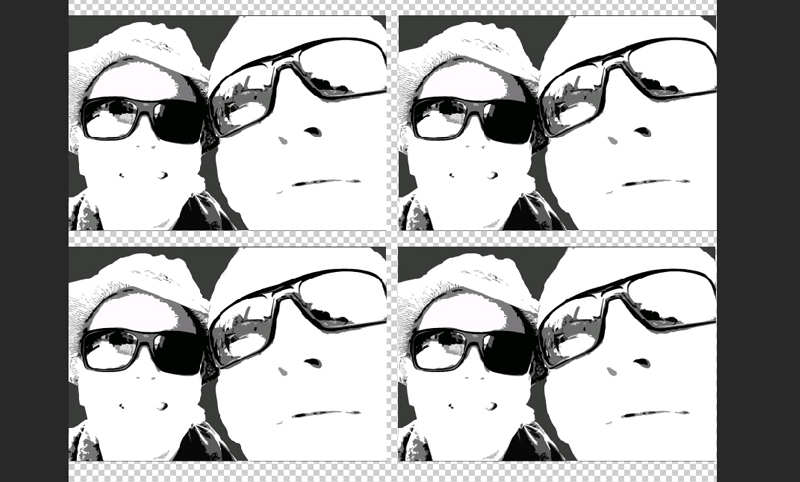 Step 23: Choose a colour for your photo by using the Eyedropper tool (I). 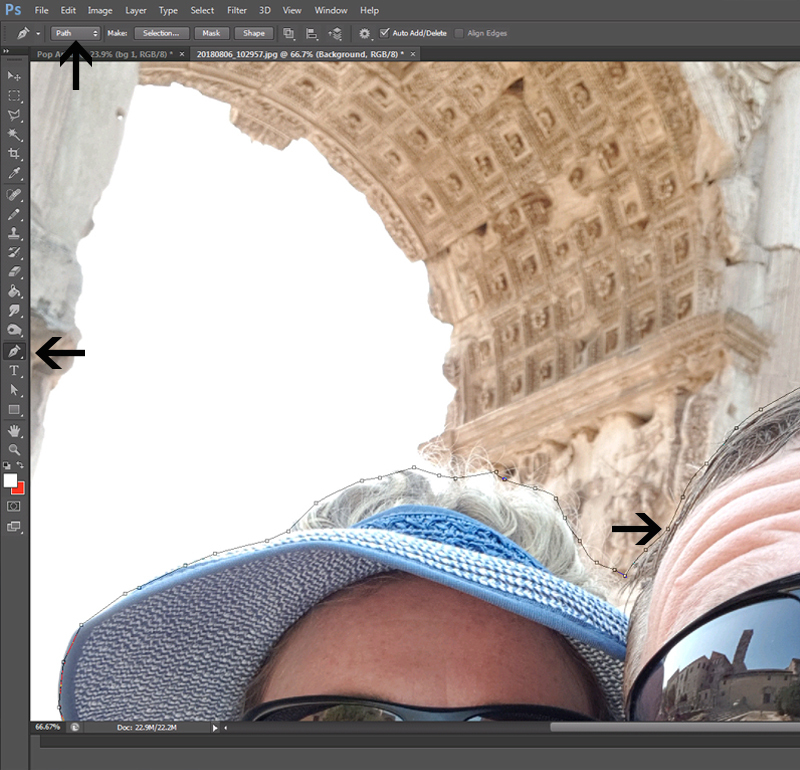 Hold Ctrl and click on the thumbnail image of your Photo layer (in the layers palette) to select the area in your photo. Make sure the Photo Colour layer is selected, and fill the selection with your chosen photo colour using the Paint bucket tool (G). 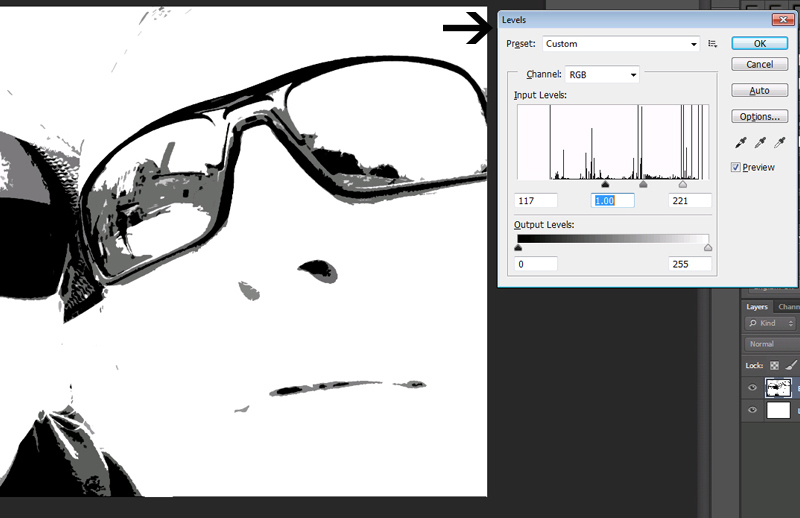 Step 24: Select the Photo layer, and change the blending mode to “Screen”. Step 25: Repeat steps 21 to 24 for the other 3 sets too. Step 26: You can increase the Saturation on your Photo Colour layer if you want to. Do this by going to Layer > New Adjustment Layer > Hue / Saturation and adjusting the sliders. 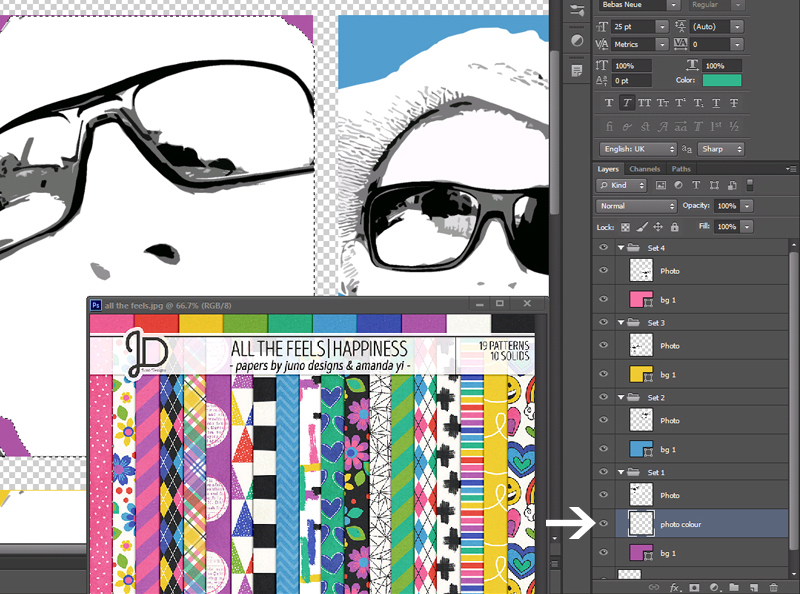 Step 27: You can now drag the Photo groups to any layout you want to make, and enjoy your fun pop art photos! I hope you all enjoy creating the pop art effect… and please don’t be scared to use bright colours! ABOUT THE AUTHOR Christelle is a creative team member at The Digital Press, happily creating for all of the talented designers. 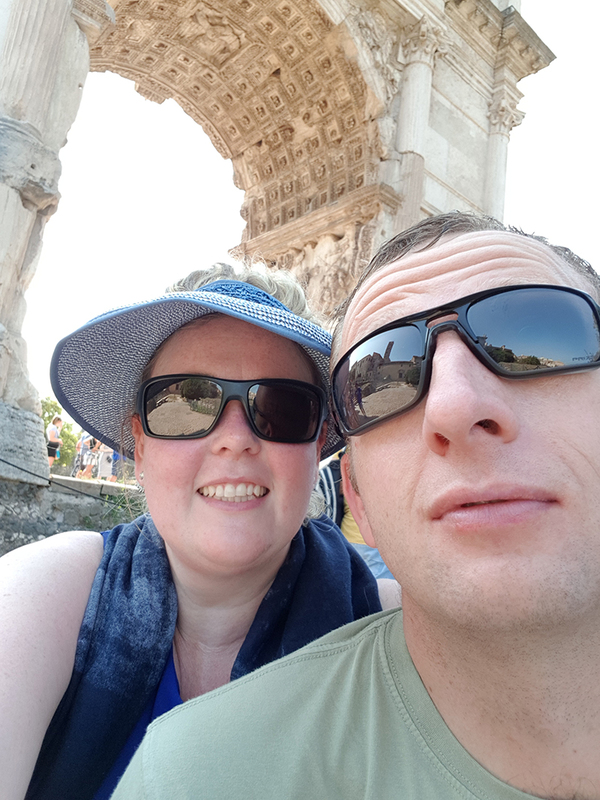 She’s originally from South Africa, and has recently relocated to the UK with her husband. She loves scrapping her 3 lovely step-children and 4 beautiful nieces and all of their (mis)adventures. If she could, she’d travel all the time, but for now she makes do with traveling as often as possible. Her other hobbies include machine embroidery and sewing, as well as reading soppy romance! 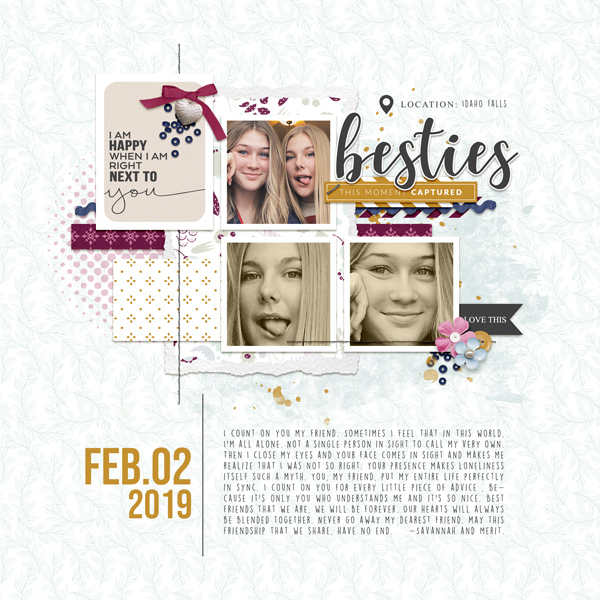 Hello everyone, and welcome to the first edition of our all-new round of designer features on The Digital Press blog in 2019 — Friday Favorites! This year, we’re going to learn a bit more about each of our fantastic designers by having them share some of their favorite things with us each week, and we think you’re going to have so much fun following along with this new series! 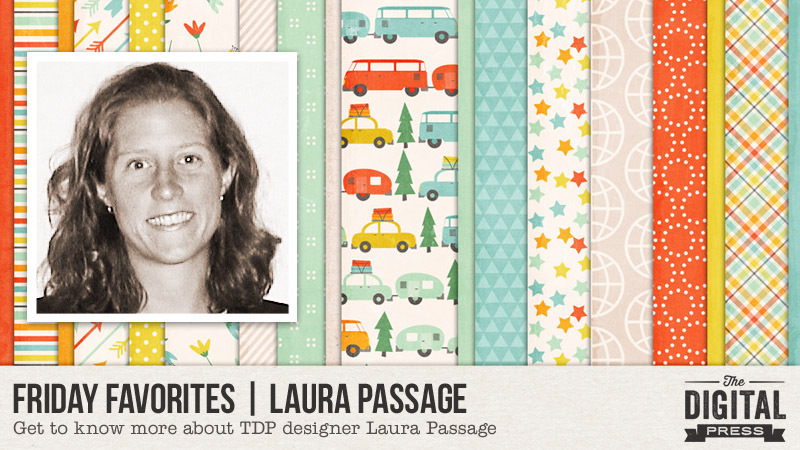 This week, the spotlight is on the super-talented and creative designer (and our very own TDP chief) Laura Passage! 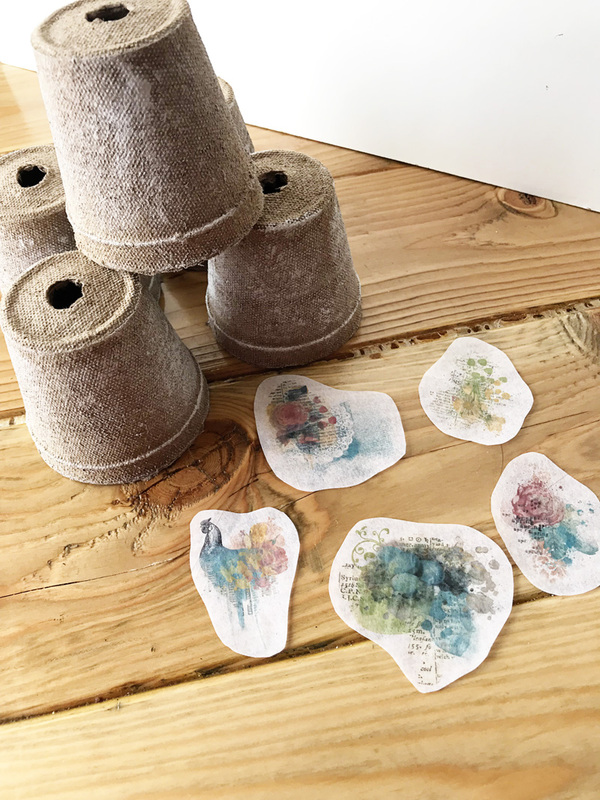 This is actually Laura’s fifth feature here on the blog (you can find her previous features from July 2016 HERE… from July 2017 HERE (including a look at her crafty workspace! )… her Foodie Friday article from February 2018 HERE w/ yummy food ideas/recipes… and her most recent feature from July 2018 HERE). The following video gives us a quick tour of one of Laura’s favorite things — her font organizer software! 🙂 ENJOY! **NOTE** if you are viewing this in Firefox and have trouble w/ the video… please try another browser. Firefox has known glitches with video, whereas Chrome, IE, and Safari all seem to be working fine. 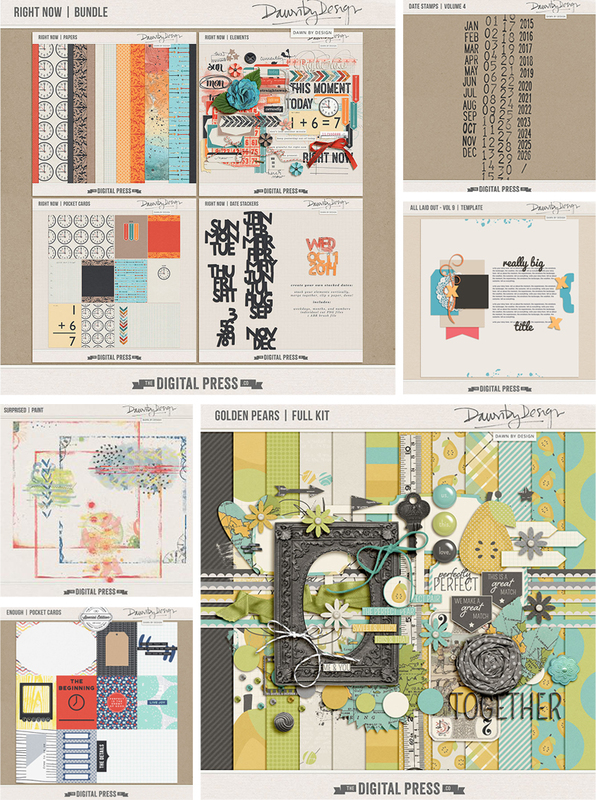 For those of you who aren’t already as familiar with Laura’s design work… it has a distinctly paper-ish style and feel, mimicking traditional paper scrapbooking products (likely because she also designs products for the paper industry — for companies such as Echo Park Paper Company, Carta Bella Paper Company — and also for the app-based version of Becky Higgins’ Project Life product line). 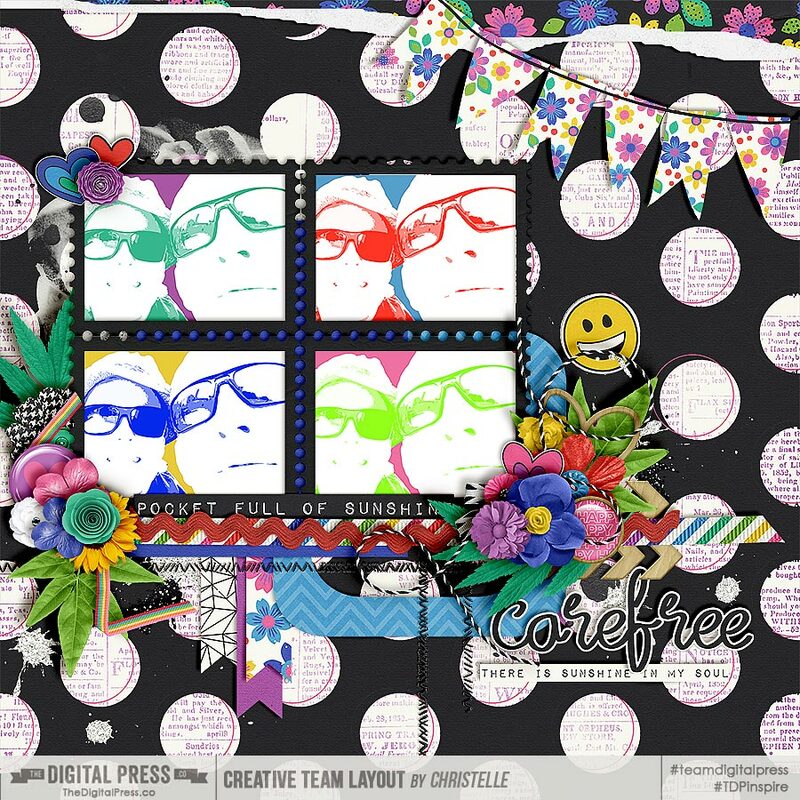 She tends to create colorful, fun products that often have cute or hilarious puns or jokes included in the word art/cards; whatever the theme, her kits are always full of surprises and fun to work with. Aren’t those all so great?! Hopefully, today’s Friday Favorites article has given you even more insight into Laura’s persona and creative style (and again, if you want to know even more about her — scroll up and use the links to her previous features here on TDP’s blog, where’s there’s lots of good stuff!). And the best news of all?! …during Laura’s upcoming feature week here at The Digital Press, you can enjoy the chance to score an amazing deal in her shop if you use the following coupon code when purchasing her digital goodies (this code/sale will be valid through 11:59pm ET on Thurs 3/7). Don’t miss it!